“Teh internetz” are not always the best friend of the English language. Not that I subscribe to the idea that all this chatting on forums is ruining the kids’ ability to use language – after all, a language is a living thing, and should be, needs to be, remoulded, reworked, and re-engergised on a daily basis – but the IT world throws up some really ugly words, just plain minging arrangements of letters that should never be displayed on screen, let alone spoken out loud. Nate Anderson at Ars Technica has a brief post up about a YouGov survey of the most annoying words spawned by the web. 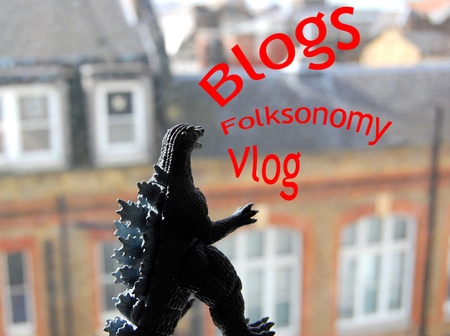 These include folksonomy, vlog and webinar. Nate adds a few of his own linguistic nails-on-a-blackboard moments – including the terrible ‘crowdsourcing’ and ‘AJAXify’ (although I’d disagree with his inclusion of ‘podcast’. No. Solutions don’t improve things, they solve problems. ‘4’ is the solution to 2+2. Ordering a pizza when you’ve got no food in the house and everyone is starving. These are solutions, because they address direct, easily quantifiable problems. Nope. A platform is a place which trains arrive late to. Why even use the word ‘platform’ here? Nein. Forty degrees below zero. Fans of Adolf Hitler. Stoning people to death for stealing. These are extreme. What’s wrong with ‘function(s)’? If adding -ality to a word automatically added 30% more professionalism and excitment to something, I’d work for a publication called Custom PCality. You’d be searching the web with Googleality and enthusing about your iPod and its iTunesality. But it’s not, and you don’t. People, let’s end the -ality now. This entry was posted in Creativity, Tech. Bookmark the permalink. I have to toss in Networking. This word easily sets the record for the shortest way to dilute your mind.